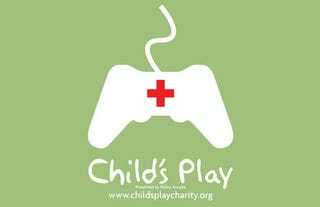 Another year passes, another Child's Play charity drive winds up. Each year it seems to be getting bigger, grander, more charitable, so let's take a look and see how much you lot managed to raise. This time around? Records were broken. No, broken and then broken again. Over the course of the 08/09 campaign, an incredible $1,434,377 was raised to help buy sick kids in hospitable sweet video games. That's a new record for the charity, and any way you look at it, an astonishing amount.